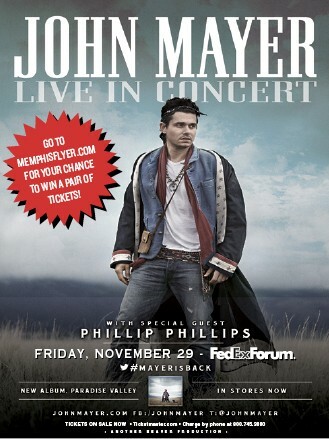 John Mayer is coming to FedExForum on Friday, November 29th with special guest Phillip Phillips. Here's your chance to win a pair of tickets. Just click here and fill out the form. Winners will be notified on Friday, November 22nd via email.